I have been truly humbled by the loving response to our first inspired COACH Magazine of 2015 with Danielle LaPorte. It’s been read by tens of thousands of people worldwide with we know more to come. 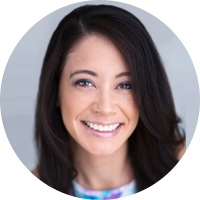 And when Danielle so compellingly shares her work on ‘goals with soul’, living a feelings based life and the new Desire Map Licensing Program – we can hardly blame you for wanting more! We are proud supporters of this stunning licensing program which is especially suited for coaches who are wanting to work at a deeper level with their clients and in particular through the running of workshops. If you have ever thought of running workshops in your coaching business, the Desire Map Licensing Program would be an amazing part of your toolkit and to support you with that you could learn from no-one better than Jade McKenzie, Event & Life Coach, on how to make them (and you!) shine. Jade is our special guest writer today with some amazing ways on how doing so can increase your profile as a coach. And to help you along your way if you purchase the Desire Map Licensing Program between now and January 21st 2015 we will send you along to not one, but TWO of Jade’s upcoming Event Intensives where you can learn things such as how to get sponsors for your events and workshops, sell tickets confidently, market your amazing offering and so much more. (And yes! Read on below for a virtual option if you can’t make it) You will have SO much fun with a group of likeminded coaches and entrepreneurs and get ready to take the stage! As a coach, the most important thing you can do for your community, your clients, and yourself, is to give with purpose. Give your talents, your skills, your compassion and your gifts in a way that is fulfilling to you and empowering to them. One way that you can do this is through workshops and intimate events. As coaches, we are so used to working with our clients online, but a beautiful and inspiring way that we can give knowledge and impart wisdom is in person. Coaches bring many skills to the table that are widely needed by clients and whether you are a health coach, life coach, business coach, career coach or sales coach, workshops are an amazing way to establish yourself, connect with those who need you and take your business to a new level. Here are 5 ways workshops can increase your profile as a coach. When we are drowning in a sea of overwhelm or want to makes changes to our life but don’t know how, having someone stand up and say, ‘Hey, I can help you’ is just so damn powerful. By running workshops in your area of expertise and using your knowledge to take people from A to B, you are positioning yourself in the market as an expert and acting as a beacon of light for those who have lost their way. This is important in your business because the more you are seen as a specialist, the easier it is to attract ideal clients, fill your books with soul aligned projects, and be presented with dream opportunities. 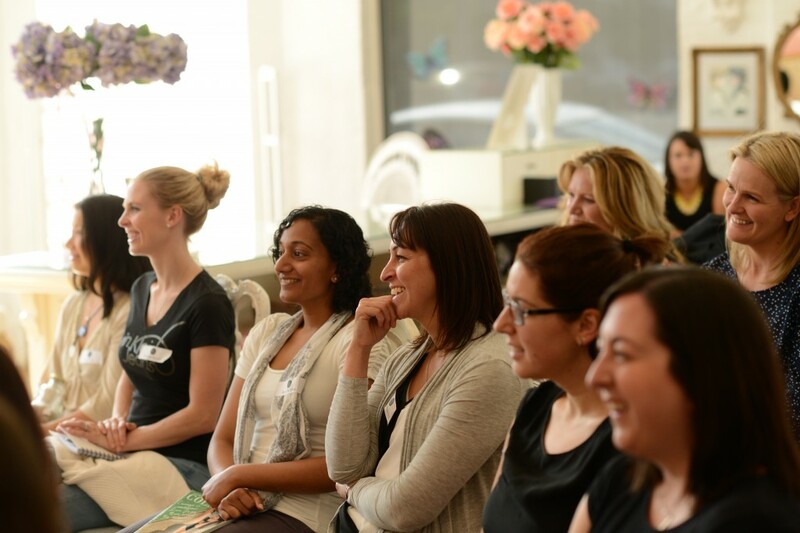 Once people have attended your workshops and fallen even more in love with you, there will be no stopping them from talking about you in both their social and business circles. You know that feeling you get when something is just SO good and you have to tell everybody about the amazing experience you had? Well that’s how people are going to feel about you! Trust me, you’ll be getting emails coming through every week from people saying that they have heard fabulous things and they just had to contact you. By holding a workshop you open yourself up a whole new audience who may otherwise may not have the opportunity to work with you. One of the things that I adore about workshops is that it can create the most wonderful connections for everyone in the room. It’s not just about the connection between yourself and your attendees, it’s also about everyone getting connecting and wanting to remain in contact after the workshop is over. Providing attendees with the opportunity to connect with like-minded people is an amazing experience that has a hugely positive effect on your brand as a whole. Don’t ever discount this. I have been to and managed countless events where the speaker or host is someone with a large profile and guests leave the day excitedly talking about how they were just SO nice, and SO easy to talk to and just SO damn normal. Think about when you met someone you admired and respected from afar for the very first time. Did you get nervous? Did you think they were incredible for spending time with you, laughing with you and patiently answering your questions? Did you think it was amazing how they confessed to having the same fears/worries/experiences as you do? Did you love them even more because on your computer screen they are remarkable but in real life they just made you feel valued and adored? Aim for that and your business will flourish. Are you already planning your next workshop? Getting together a group of inspirational people for an experience that may change their lives and grow your coaching business?! I hope so because we need the special message within you to come out and be shared. And don’t forget if thinking about becoming a Desire Map Licensee we will give you some amazing time with Jade at TWO of her Event Head Intensives. Purchase the Desire Map Licensing Program between now and January 21st 2015 to get you there! 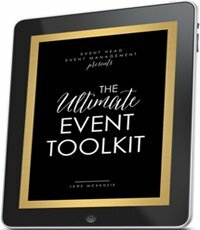 And if you cannot make it in person, we will make sure you receive a copy of Jade’s Ultimate Event Toolkit (it’s incredible) as well as the audio and slide versions of the Intensives! Jade McKenzie is an event professional for heart-centered entrepreneurs and business owners who have a positive message to share through their events and workshops. With over a decade of experience in event management and business development, she has an unrelenting passion for giving her clients the ability to step into their spotlight and shine. 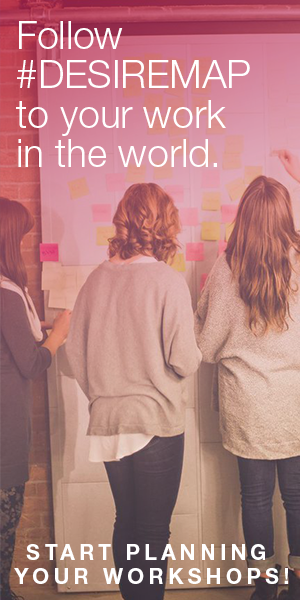 You can learn how to run your own workshops with confidence and ease at her 2015 Event Intensives. Great advice! I’m dreaming some workshops into life at the moment and reading this makes it feel even more right! Oh fabulous Vari! I am so excited for you, you will be brilliant! What a fantastic offer this is. Goodness me, Jade and yourself always have the most tempting offers and opportunities. Fab post too. Thanks for this! I was just contemplating launching a workshop for 2015 but had been hesitant due to fear of not being able to pull one off. However, I have a little more confidence now thanks to your suggested mindset to have behind launching one this year! Oh I am so glad this was helpful! This article may be good for you too: http://www.eventhead.com.au/blog-head/2015/1/12/what-to-do-when-you-are-too-scared-to-hold-your-first-event. Good luck and we look forward to seeing what you come up with!